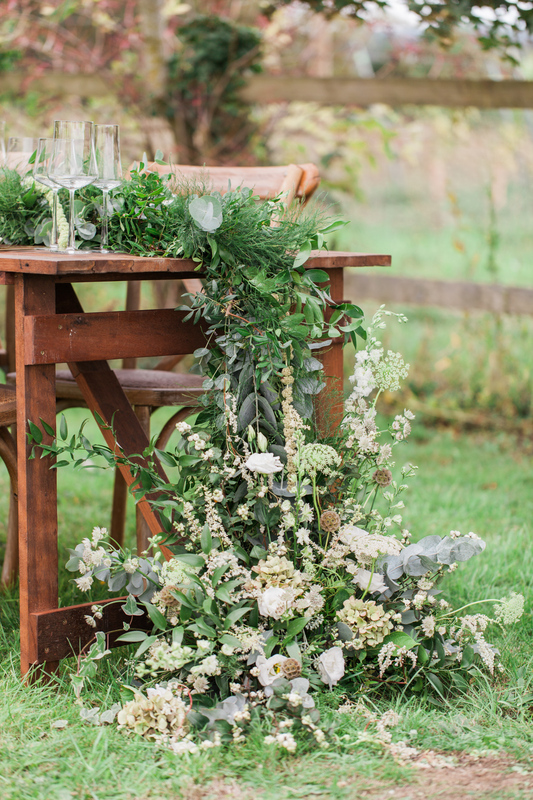 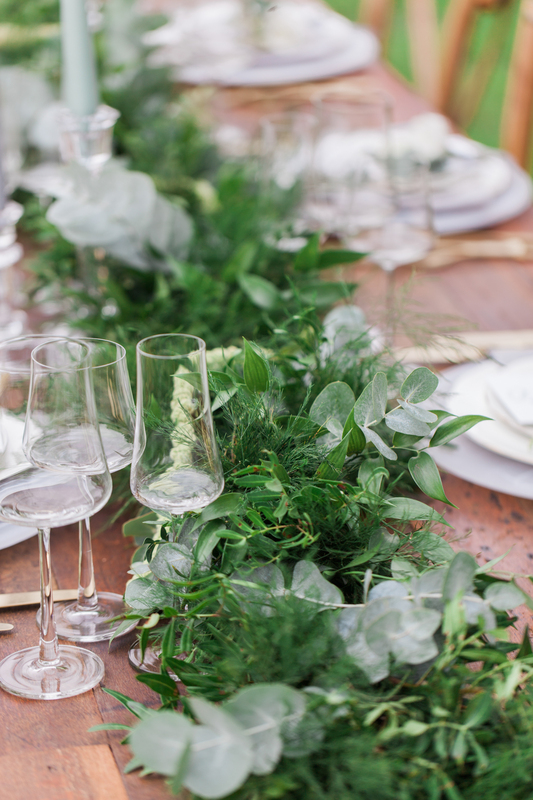 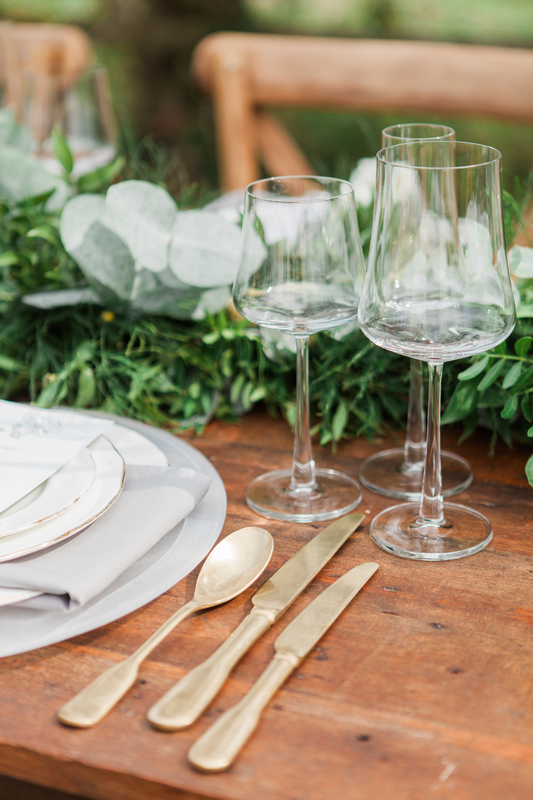 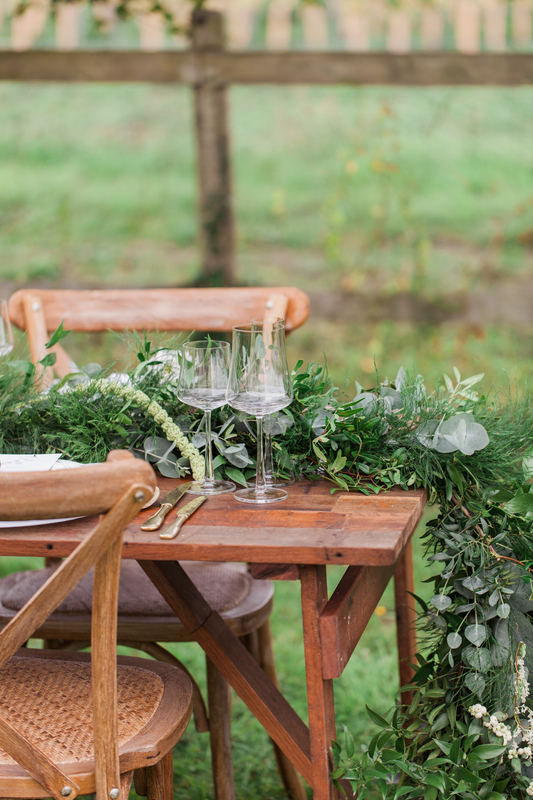 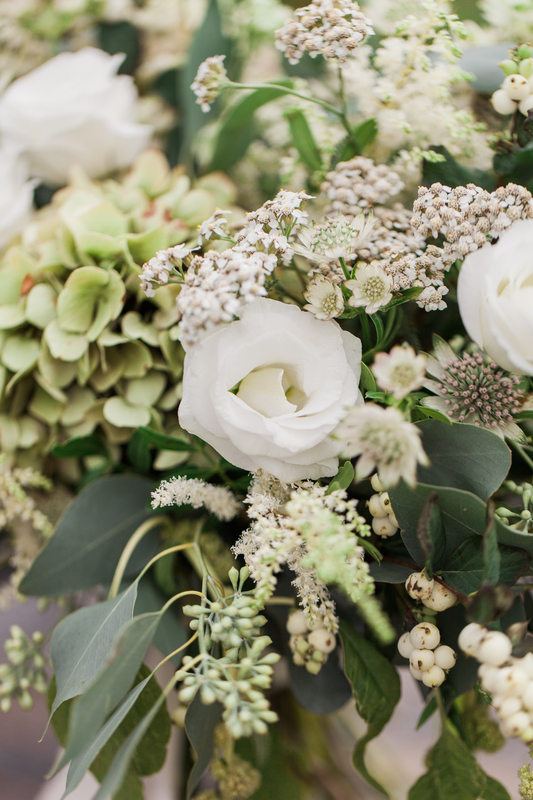 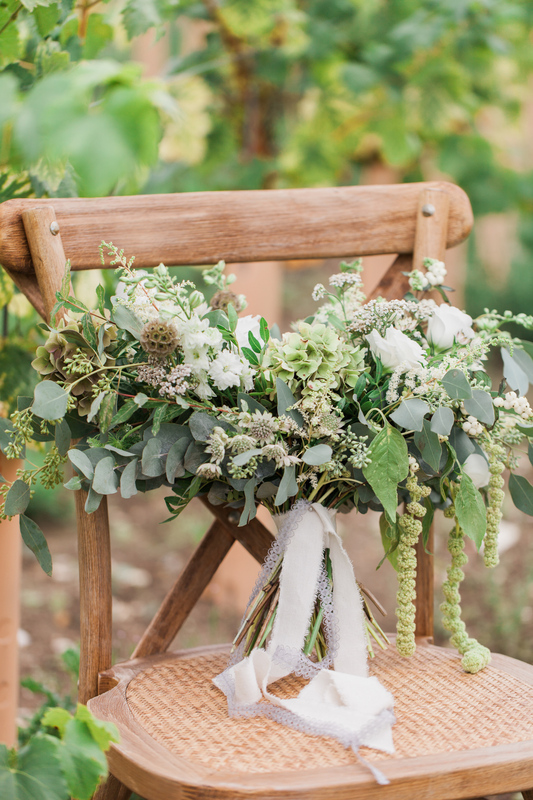 If you love the lush greenery wedding trend as much as we do, you’ll find heaps of ideas from today’s luxe and lovely inspirations by B.LOVED Edit Member Amanda Karen Photography with Emily Andrew Events! 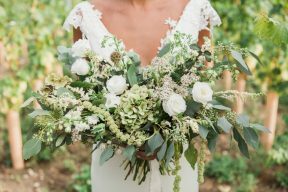 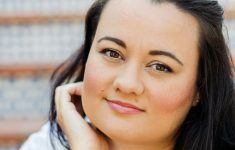 “It’s easy to see why destination weddings are so popular – think amazing backdrops, romantic venues and glorious weather. 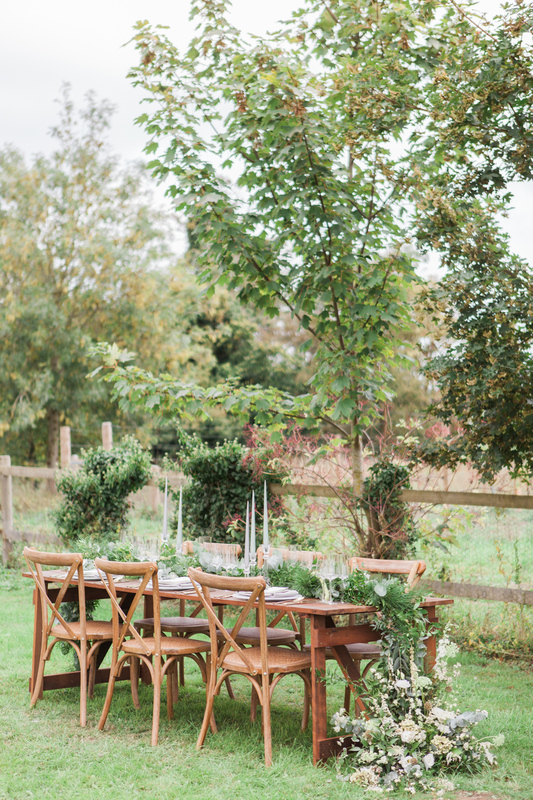 But do you really need to travel when there are destinations right here in the UK that are every bit as glorious as those famous far-flung locations? 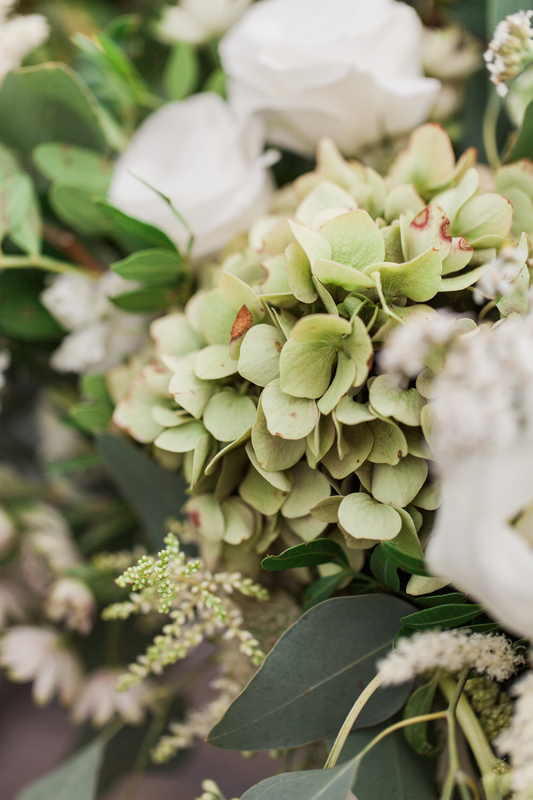 The answer is no, you don’t because if you know where to look, you can find beauty and luxury a whole lot closer to home. 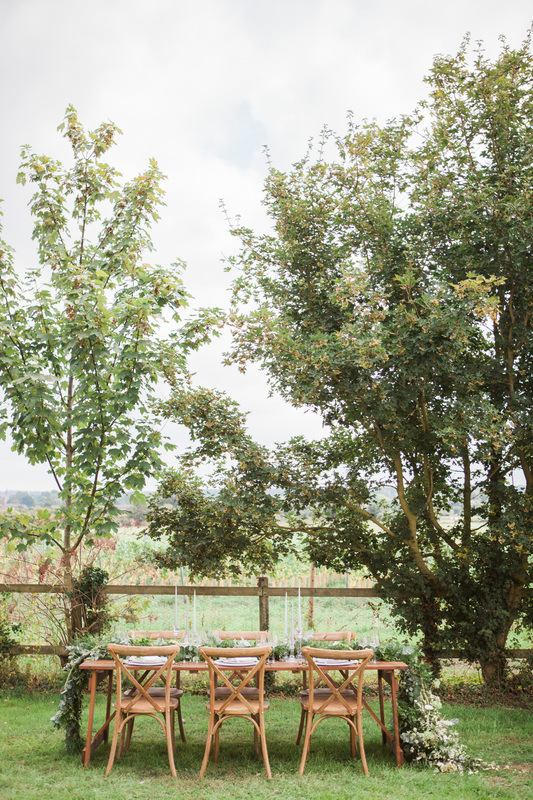 So, forget the vineyards of France and Italy and let’s head instead to a hidden gem of our own – Norfolk. 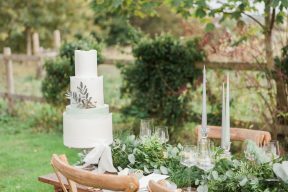 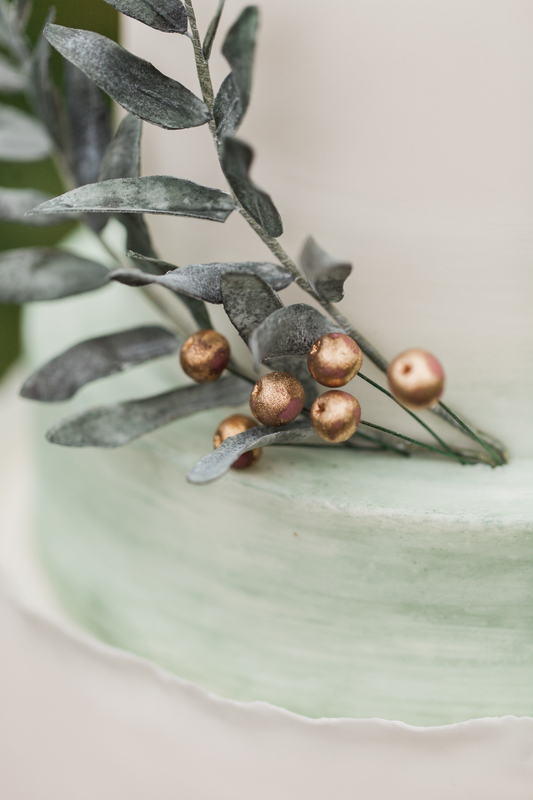 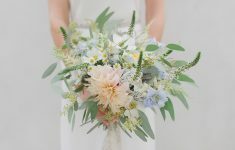 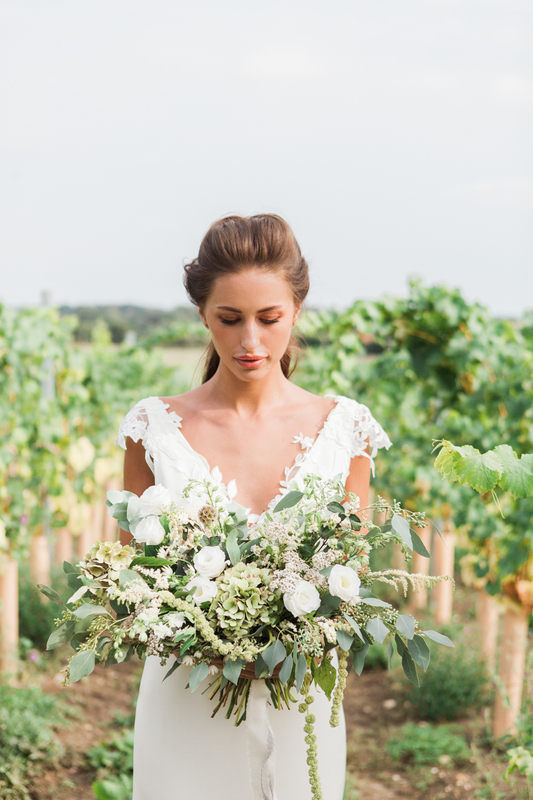 It’s time to celebrate the wonders that we have on our own doorstep and this shoot showcases not only a truly stunning Norfolk setting but also the talents and creativity of the area’s most exceptional wedding professionals. 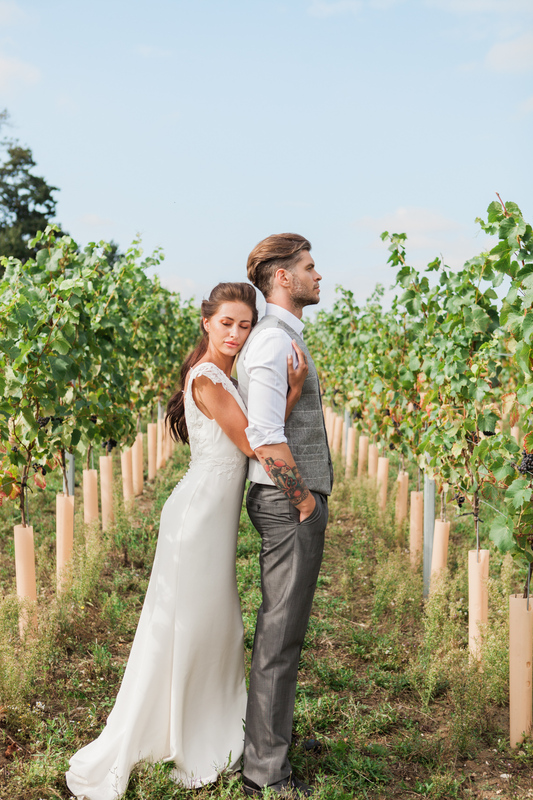 East Anglia (and other areas of the South East) have an array of beautiful vineyards, which offer couples that iconic vineyard setting without the need to travel. 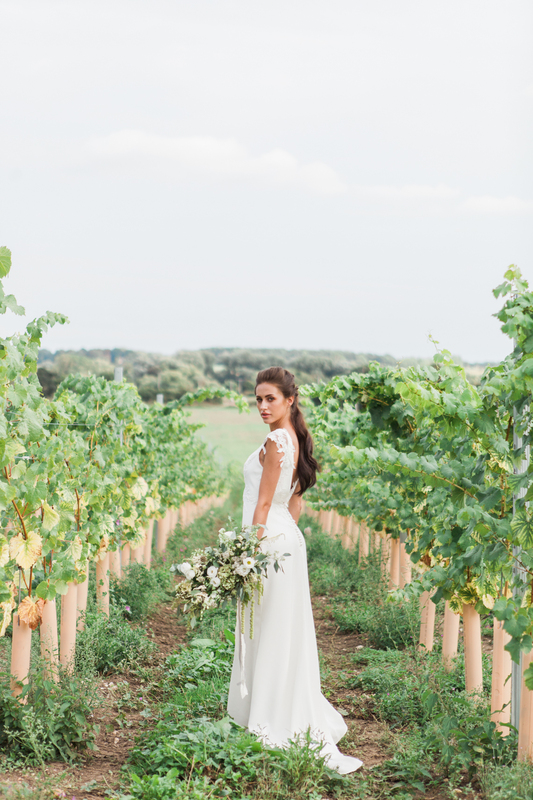 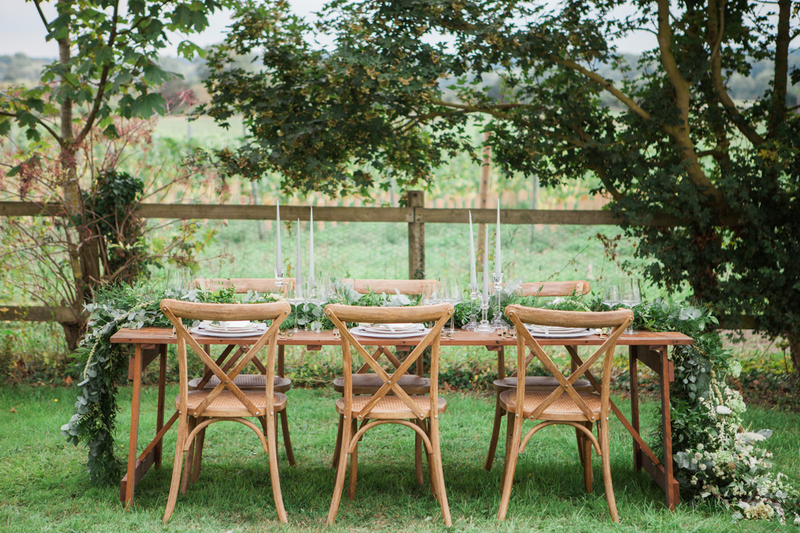 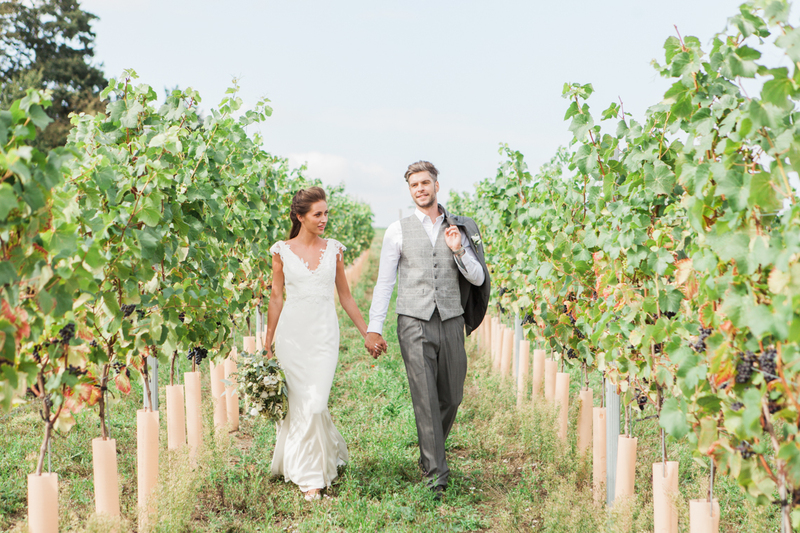 Look at these images and you could easily imagine that you’re at a winery in Provence or Tuscany so, why make a massive carbon footprint with your wedding when such an idyllic location is on our doorstep? 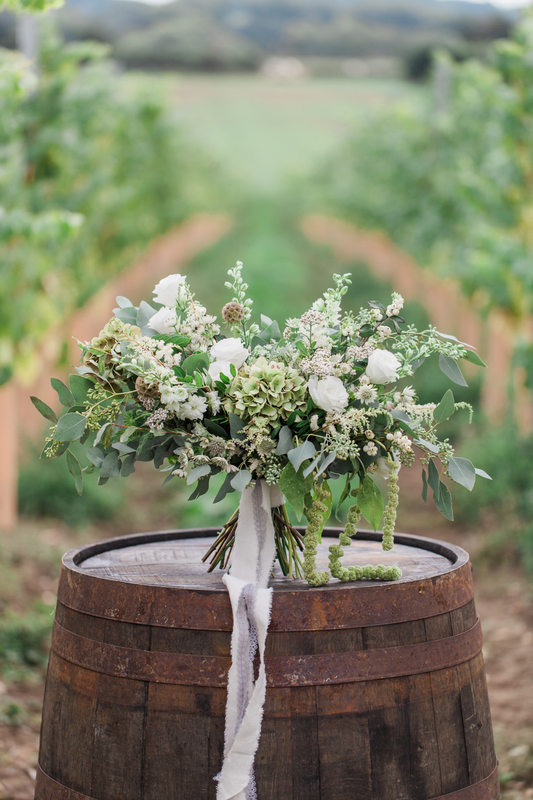 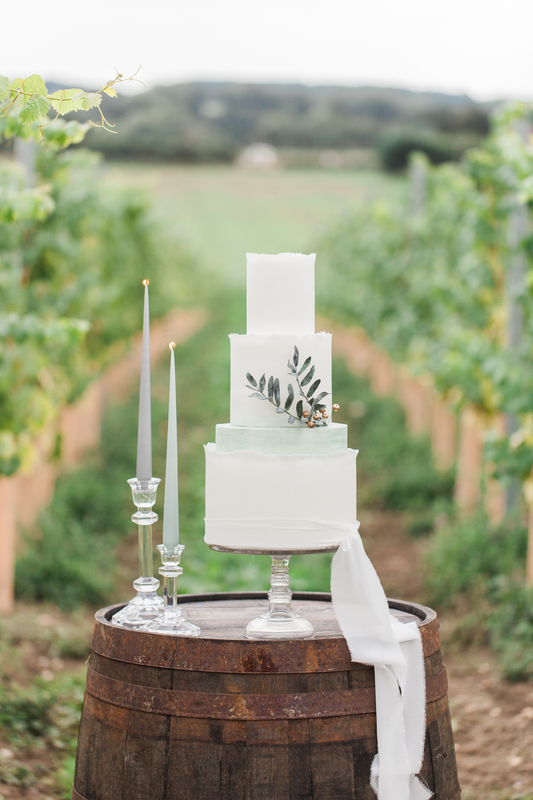 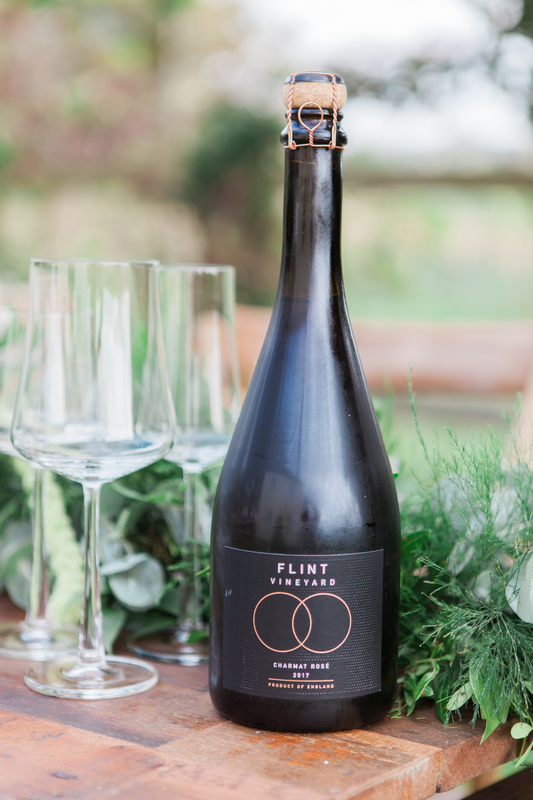 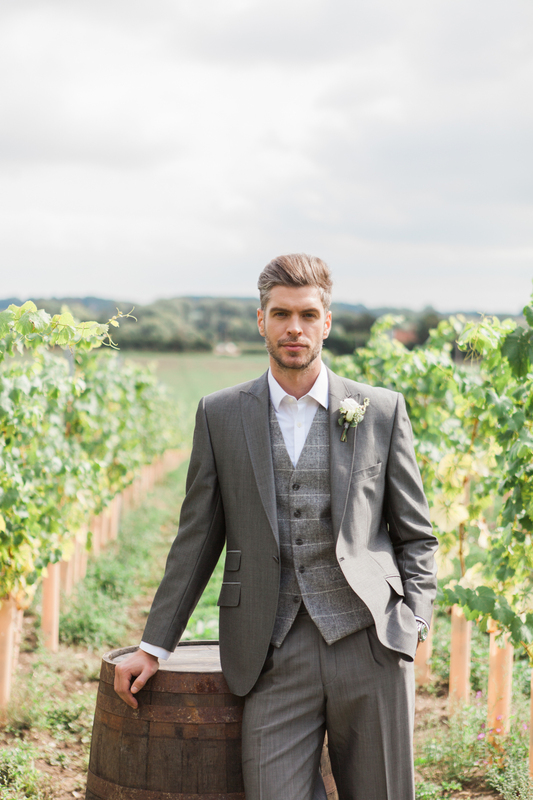 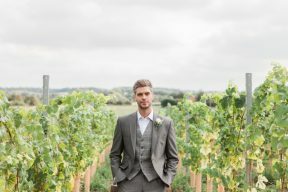 Now, whilst Flint Vineyard doesn’t actually host weddings (their wine however is the perfect accompaniment to a wedding) there are many vineyards throughout East Anglia and the UK that do! 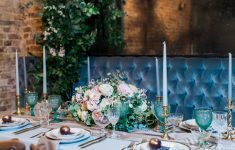 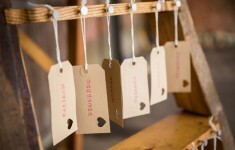 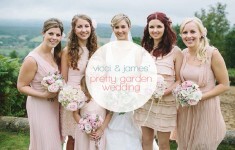 Step into this wedding and you’ll become part of an intimate day that is the epitome of rustic luxe. 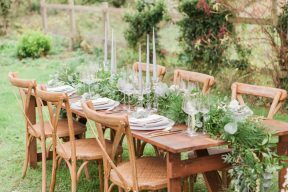 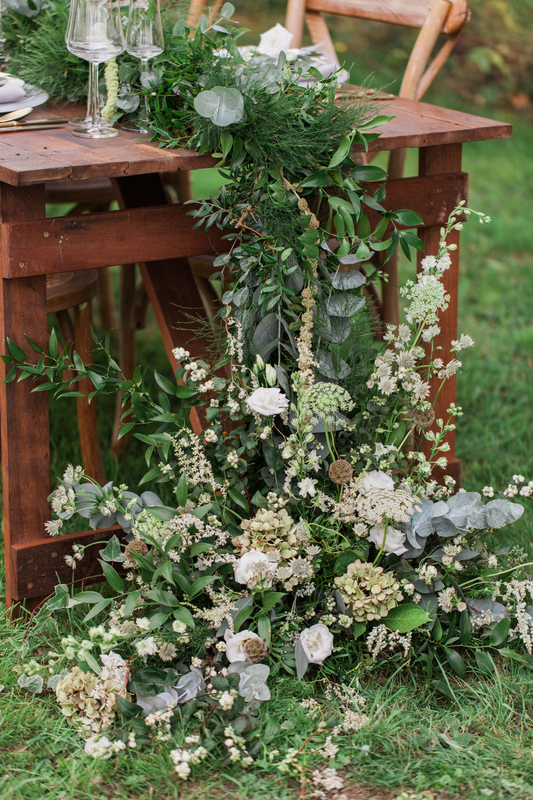 A gorgeous runner cascades from the bare wooden table into a burst of natural florals and foliage that almost become part of the setting. 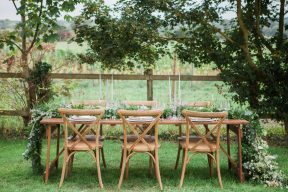 The table itself sits underneath a canopy of trees, where the overhanging branches are the most organic suspended décor ever. 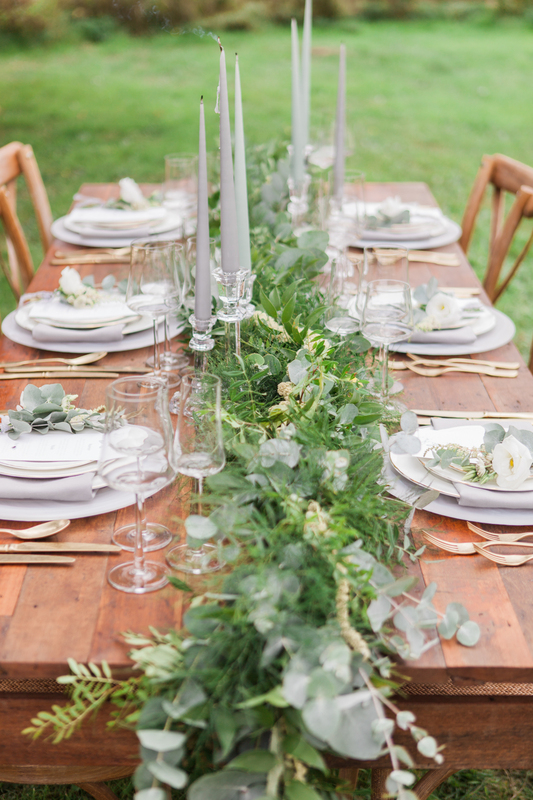 The wooden table is dressed with exquisite tableware. 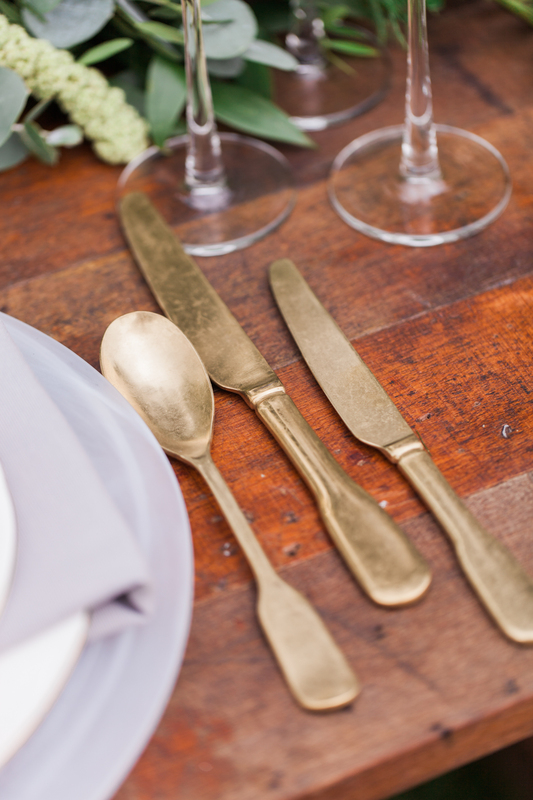 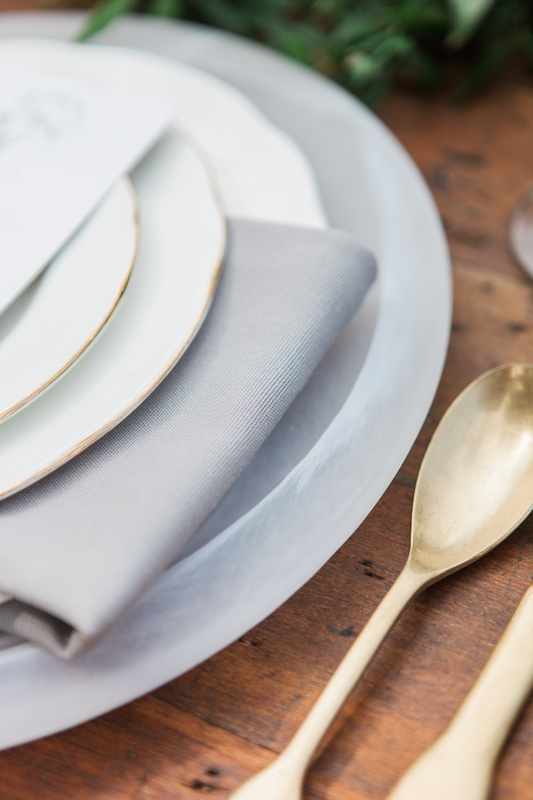 Beautiful crockery, linens and marbled charger plates exude style and the golden cutlery adds yet another layer of refinement to this memorable setting. 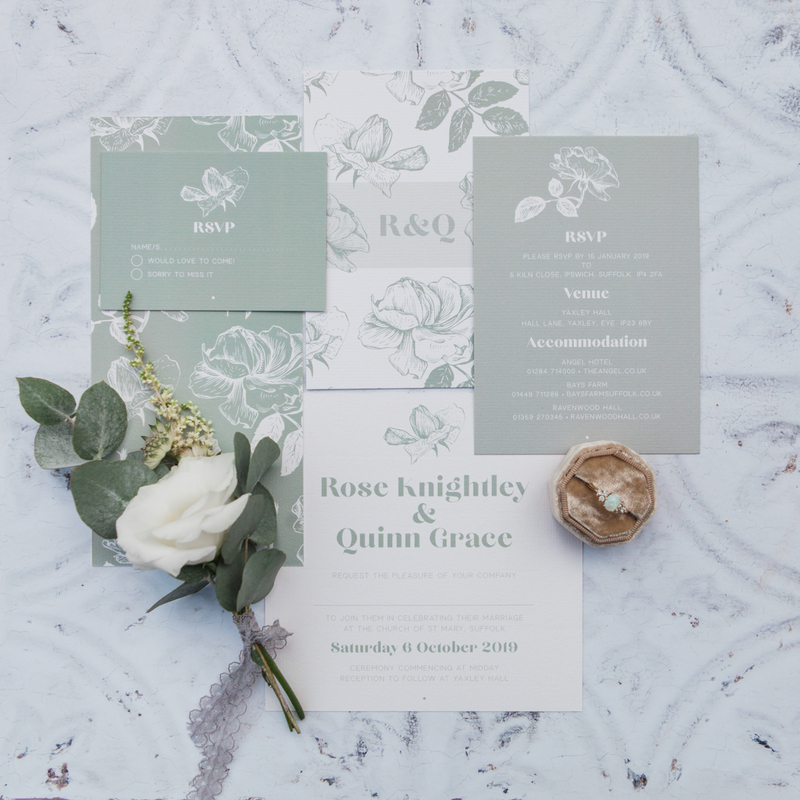 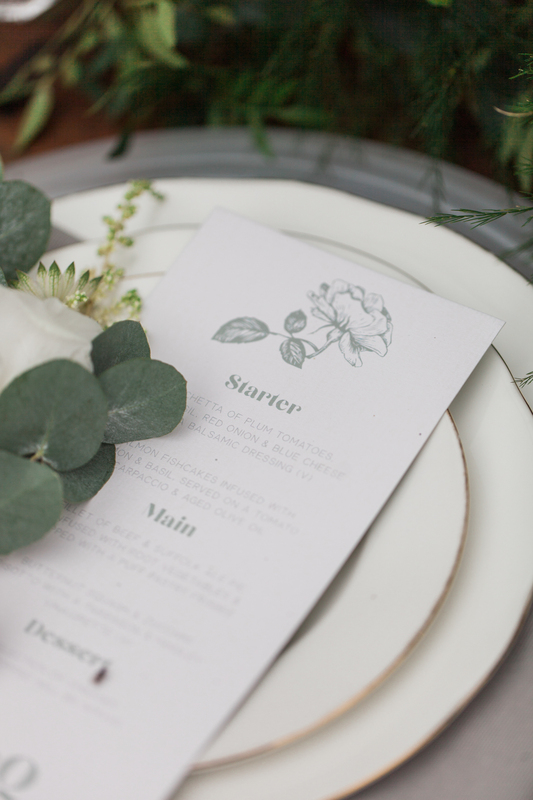 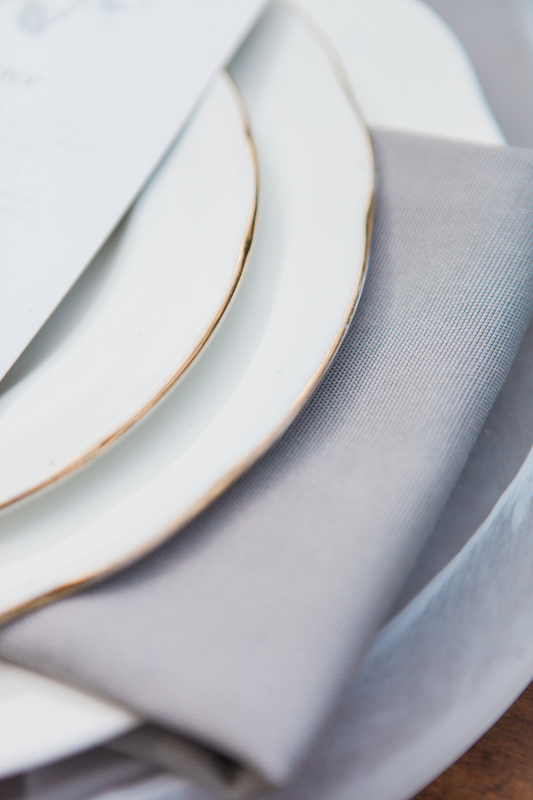 The exquisite stationery is the perfect finishing touch, dressed with single blooms that brings the menu’s floral motif to life. 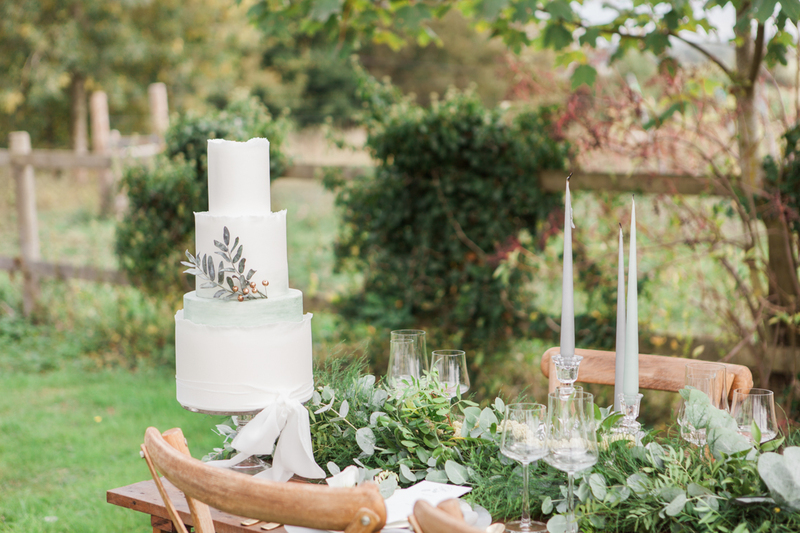 Our couple really do have the most spectacular backdrop for their wedding celebrations. 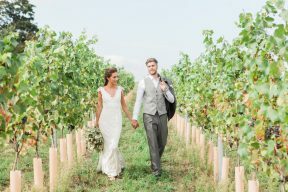 As they wander through the vines, they have the time and space to reflect on the day and spend some much needed time together. 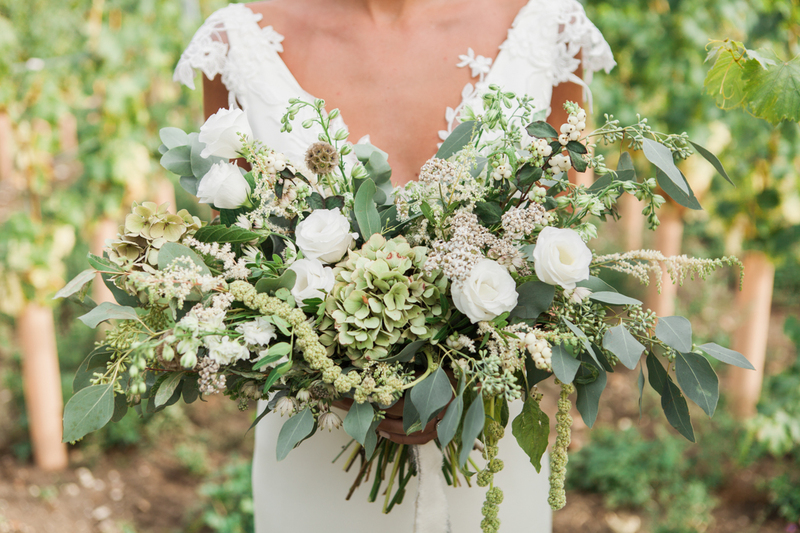 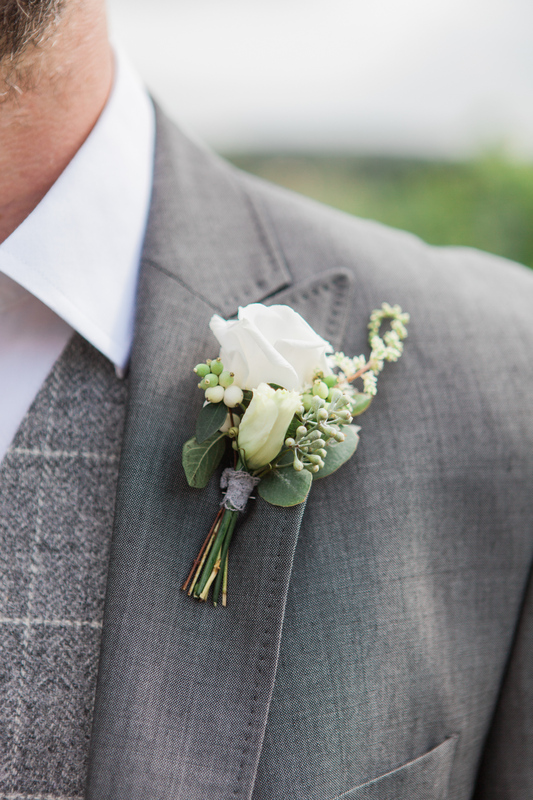 The flowing skirt of the bridal gown coordinates with the tumbling, undone bouquet and our groom combines classically elegant grey tones with a look that’s perfect for the country.